A recent parolee discovers that getting out of "the life" and walking the straight and narrow aren't that easy to do when everyone around him is pulling him back in and unwilling to offer him any second chances. Are assault with a deadly weapon and/or murder considered 'small' crimes now? Because those seem like pretty substantial crimes to us. "Small Crimes" is directed by E.L. Katz, who has directed films like "Cheap Thrills" and the "A is for Amateur" segment of the "The ABC's of Death 2." He also helped write the screenplay along with Macon Blair, who wrote the excellent movie "I Don't Feel at Home in This World Anymore," and it is based on the novel of the same name by Dave Zeltserman. This film tells the story of a cop-turned-ex-con named Joe Denton (Nikolaj Coster-Waldau), who has just finished a six-year stretch for assault after mutilating a lawyer-turned-district attorney with a knife. 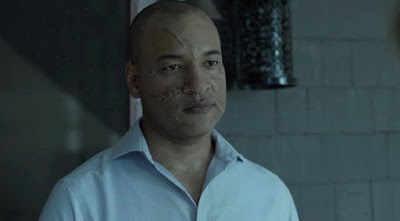 Joe seems to want to make amends and move on with his life, but as soon as he gets out of prison, he is met with a family unwilling to forgive him and past interactions coming back to haunt him as fellow criminals, dirty cops, and the victims of his crimes all come looking for revenge. "Small Crimes" is a crime drama first and foremost, but it also dabbles in a bit of dark humor from time to time. This story is all about the difficultly felons have when reintegrating back into society. It often doesn't matter if a person has paid their debt by the government's standards. People, more specifically the families and friends of those who have been wronged, are far less forgiving. If you're as knee-deep in the muck as Joe Denton is and have as many past demons as he has, it may be nearly impossible to crawl out of your figurative hole. When the audience first meets Joe, it does appear that he wants to change. As soon as he gets out of jail, he runs into trouble the very same night he gets released. His ex-wife won't let him see his daughters. His parents, especially his mother (Jacki Weaver), are regularly critical of him and hound him about his every move. Dirty cops and former friends keep attempting to collect on old debts. These stresses almost immediately make Joe fall off the wagon, figuratively and literally, as he slips back into both the drink and his old habits. It all goes downhill from there when he starts to receive threats on his life. Ultimatums are given. If he doesn't clean up a few loose ends he left behind, everyone he loves will die. Joe's frustrations with what's going on become more and more palpable until it all comes to a head. We sort of feel bad for him at times, but we also understand that he has made his own bed because of a long stretch of bad behaviors. Now, he has to sleep in the mess he's made. 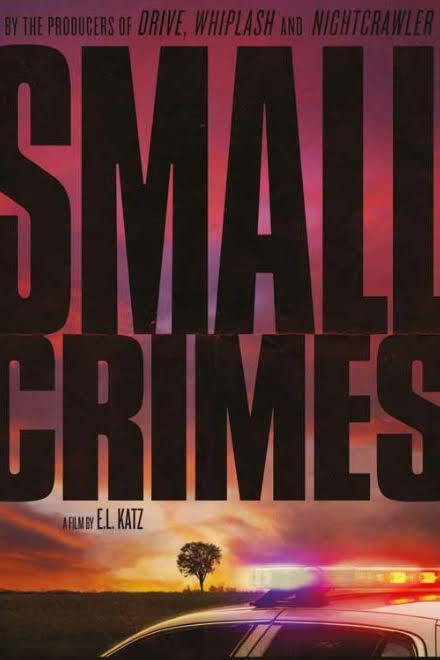 As time ticks by in "Small Crimes," we come to understand that Joe just isn't a decent person, especially when he starts getting other people in trouble for his lies and persuasions. We were mostly engaged with this story and its characters for the most part despite that most of them are the worst people ever. Unfortunately, the pacing feels off a lot of the time. The narrative starts to wander aimlessly in an effort to make its runtime longer. Luckily, the acting is great across the board, so it's not a complete hindrance when the story occasionally dawdles. 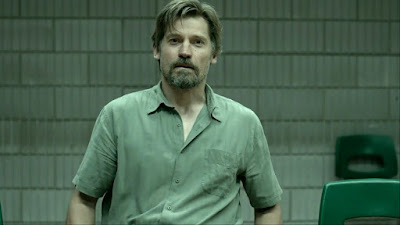 Nikolaj Coster-Waldau gives an excellent performance as the shady Joe as he ranges from charming to smarmy to pathetic. "Small Crimes" offers a very cynical outlook on life. It's full of characters we wouldn't want to cross. Though there are some things to like about this Netflix original, we can't say we were entirely satisfied with how it ended. Overall, it's still worth seeking out for the incredible performances.